In his latest defense of everything Trump, Sinclair Broadcast Group chief political analyst Boris Epshteyn claimed that Donald Trump Jr. “is the farthest thing from a racist or anti-semite” after the president’s son retweeted an anti-Semitic claim by comedian Roseanne Barr. Trump Jr. has promoted bigoted material online, given a radio interview to a white nationalist and anti-Semite, and retweeted a leading anti-Semitic writer. Epshteyn is a former aide to President Donald Trump who now hosts “must-run” commentary segments that air on local news broadcasts on Sinclair-owned or -operated stations across the country. His tenure at the White House was brief and rocky. Epshteyn’s analysis at Sinclair has been vapid and serves as little more than pro-Trump propaganda. On May 29, Epshteyn defended Donald Trump Jr. after he retweeted Barr’s false smear that philanthropist (and prior Media Matters donor) George Soros “is a nazi who turned in his fellow Jews 2 be murdered.” That claim from Barr, who is Jewish, has long been part of an anti-Semitic smear campaign against Soros. In March 2016, Trump Jr. gave an interview to James Edwards, a white nationalist and anti-Semite. The interview aired on the Liberty RoundTable, which is hosted by Edwards’ syndicator, Sam Bushman. Edwards appeared on the program as a guest and questioner. During that interview, Trump Jr. agreed with Edwards that the media is "the enforcer of political correctness." In September 2016, Trump Jr. told a radio program that the media had been letting then-presidential candidate Hillary Clinton “slide” on everything and “if Republicans were doing that, they'd be warming up the gas chamber right now.” The Anti-Defamation League criticized Trump Jr. for his “trivialization of the Holocaust and gas chambers” (Trump Jr. claimed he was referring to capital punishment). Unsurprisingly, neo-Nazis hailed Trump Jr. during the campaign for his efforts. Following the campaign, Trump Jr. has continued to embrace the far-right. Former Sinclair reporter Suri Crowe provided BuzzFeed with a detailed account of how Sinclair Broadcast Group’s far-right agenda has affected local news coverage of stories from climate change to gun safety. 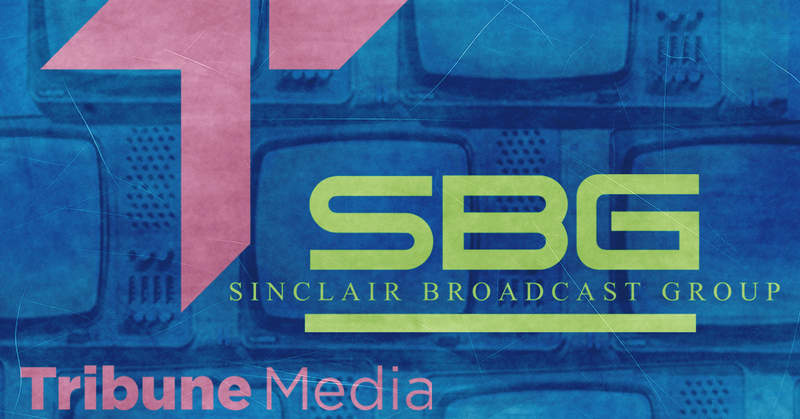 Sinclair is the largest TV station owner and operator in the country, with about 190 stations, including affiliates of ABC, CBS, Fox, and NBC, that reach approximately 38 percent of American homes. The conservative media company is awaiting final approval of its $3.9 billion bid to buy Tribune Media, which owns 42 TV stations, including in the major markets of Chicago, Los Angeles, and New York. Media Matters has documented Sinclair’s rapid growth and its alliance with the Trump campaign and administration. If Sinclair completes its planned purchase of Tribune, the company’s right-wing bias and disregard for journalistic ethics could inform what 72 percent of American households see on their local news. Its reach is already so pervasive, Media Matters created a tool to inform viewers about the stations near them that Sinclair now owns or could soon acquire. Sinclair takes an aggressive approach to ensuring local viewers are exposed to the company’s agenda, Media Matters has found. It forces local stations to air corporate-mandated “must-runs,” which include segments from the company’s chief political analyst, and former aide to President Donald Trump, Boris Epshteyn. Crowe’s account to BuzzFeed about her time at WSET-TV, an ABC-affiliated station owned by Sinclair, provides an in-depth look at how local station operators can undermine or quash stories that run counter to the conservative ideological agenda of the company’s owners and executives. Beginning in 2015, the veteran reporter was reprimanded by news directors who insisted her stories on climate change and gun legislation include more “balance.” Crowe, who won a Virginias Associated Press Broadcasters award in 2016, was ultimately forced out of her job in 2017. Sinclair is flooding local news with pro-Trump propaganda. Find out if it owns a station near you. President Donald Trump has a secret weapon that might just ensure his re-election. 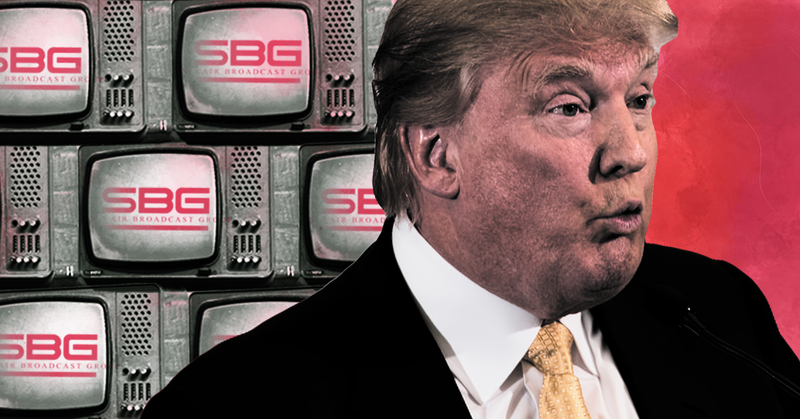 Sinclair Broadcast Group is a Trump-friendly media company that is notorious for pushing right-wing propaganda. The company already owns or operates more than 190 local stations across the country and is close to acquiring Tribune Media. With this merger, Sinclair would be able to reach more than 70 percent of American TV households that have a TV. Media Matters is now launching FindSinclair.com so you can find out if Sinclair controls a local news station near you. FindSinclair.com has information on Sinclair stations across the country, resources about the company, and an interactive map that can show you if it owns or operates one of your local stations. In March, CNN’s Brian Stelter obtained internal documents Sinclair sent to its local TV news stations requiring them to film and air short promotional segments decrying “biased and false news” and accusing unnamed mainstream media figures of bias -- an echo of President Donald Trump’s frequent attacks on the press. The ads began airing on March 23, and days later, Deadspin’s Timothy Burke edited many of the similar segments into an creepy viral video that made Sinclair’s propagandistic intentions all too clear. Widespread coverage of the segments culminated earlier this week when cable news programs started discussing the videos, likely leading to Trump himself tweeting multiple times in Sinclair’s defense. 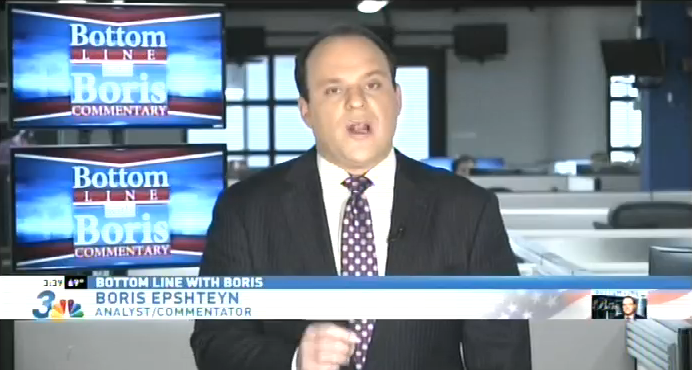 BORIS EPSHTEYN: I want to talk to you about my job. I am in the analysis, opinion and commentary business. Yes, I worked for President Trump during the 2016 campaign. I worked on the inaugural and I was at the White House. I was also on the McCain campaign in 2008 and was a surrogate for the Romney campaign in 2012. Some critics would have you believe that my experience somehow disqualifies me from providing you with my analysis and commentary. But here’s a question: Wouldn’t you want someone talking to you about politics only if he had actually worked in politics and knew the people he was talking about? I know that I would want someone giving opinions about medicine only if they were an actual doctor. In terms of my analysis playing during your local news, as you see, my segments are very clearly marked as commentary. The same cannot be said for cable and broadcast news hosts who inject their opinions and bias into news coverage all the time without drawing any lines between them. 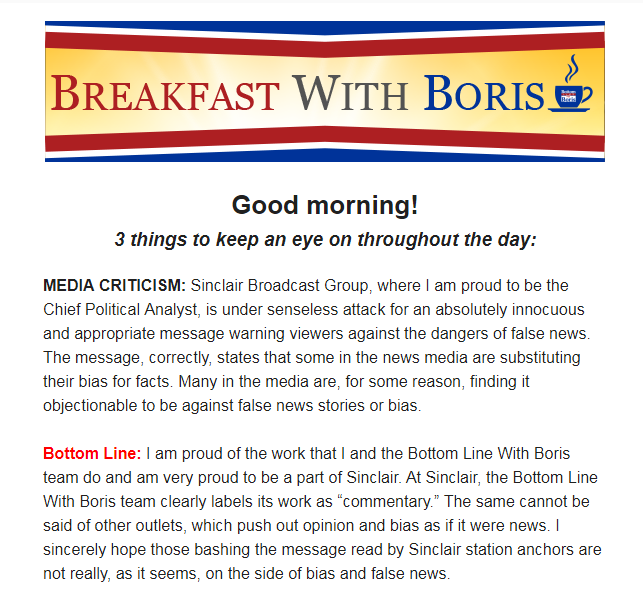 Here is the bottom line: I am proud to be the chief political analyst at Sinclair. My goal with every segment is to tell you facts which you may not already know and then my take on those facts. I am thrilled to keep sharing the truth and my perspective with you, day in and day out. Thank you for tuning in. Moments later, Jason Miller, a former Trump campaign aide who now provides pro-Trump spin as a CNN commentator, filled the gap, claiming that “one of the things that Trump supporters will point out is the fact that Saccone was down by five points” before Trump spoke at a rally in the district over the weekend, “and then afterwards, this thing is dead even.” “It's because of President Trump that he even got this close,” he added. “Perhaps it's because of President Trump that he started as far behind as he was,” Smerconish replied. “No, Trump boosted him. That logic doesn't work,” Miller said. Smerconish was left shaking his head in apparent disbelief that a pundit could try to argue the apparent loss of a congressional seat that shouldn’t have been on the table was somehow a sign of the president’s strength. 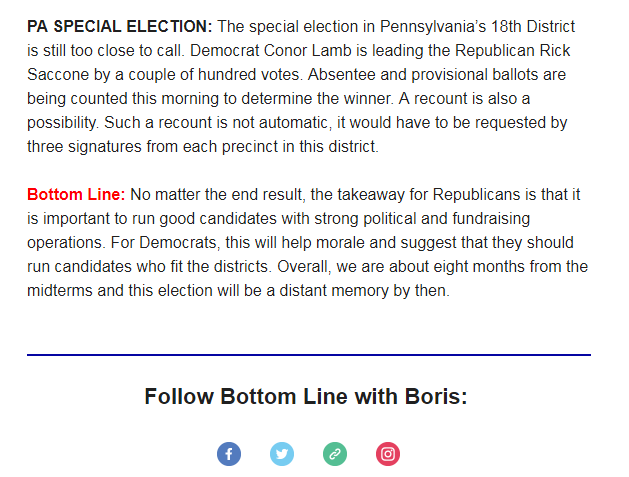 As it became more clear that Lamb had won the race, pro-Trump commentators like Fox’s Steve Doocy and Sinclair Broadcast Group’s Boris Epshteyn similarly argued that Trump had been a net benefit to Saccone. That became the official position of the GOP, with Republican National Committee spokesperson Kayleigh McEnany arguing on Fox that Trump was the “closer” in the race. Conservative pundits and Republican politicians got on the same page in saying that Lamb, in the words of Doocy, “ran as a Republican and won,” an obviously tendentious argument that ignores both a host of progressive positions the Democrat staked out over the course of the campaign and the prior GOP messaging that Lamb was a liberal in the mold of Democratic leader Nancy Pelosi (D-CA). This is a case study in what center-left commentators have termed the “hack gap.” Conservative elites are willing to adopt shamelessly false positions for political gain, while liberal elites are largely bound by objective reality and thus are willing to publicly acknowledge when, say, former President Barack Obama performs poorly during a debate. 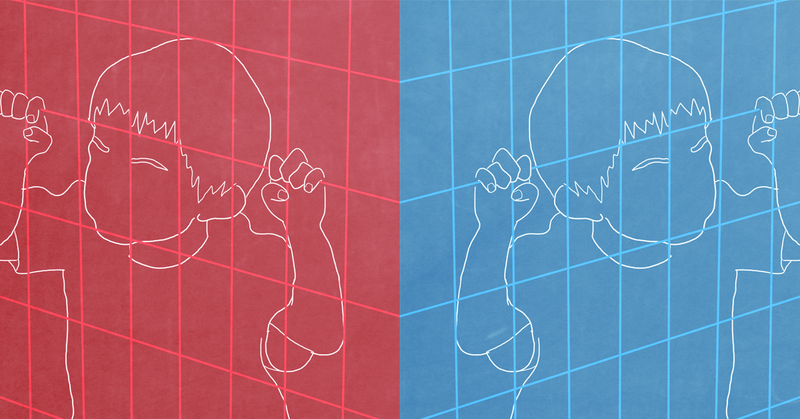 The resulting asymmetry skews the debate in ways that tend to favor conservatives. This disparity occurs in everything from baldly partisan punditry to the Republican Party’s extreme policy stands. In the case of the Pennsylvania primary, press coverage that might otherwise be devoted to the catastrophic results for Republicans instead revolves in part on whether the conservative response is accurate. 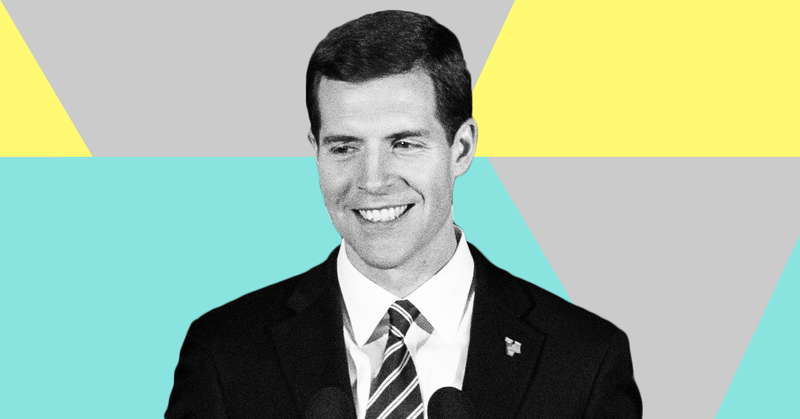 Some journalists point out the flaws in the right-wing argument, while others, like MSNBC’s Brian Williams, who claimed last night that Lamb “was a Democrat really in title only,” get spun. But either way, as a result of introducing nonsense into the discussion, conservatives are on a better footing than they would be otherwise. The hack gap has been more obvious since Trump’s rise to the top of the Republican Party: The president’s constant stream of lies and fabrications and his racist, authoritarian, cruel, and bizarre behavior require sycophantic pundits and White House spokespeople alike to go to new lengths to excuse his every move. When Jeffrey Lord is using a CNN platform to call Trump the “Martin Luther King of health care” or describe former FBI Director James Comey as a “nut job,” it’s easy to see that something is deeply wrong. But the phenomenon is not new. Indeed, for decades, modern conservative policy orthodoxy has been built on a series of disproven contentions -- like the validity of supply-side economics and the illegitimacy of climate change -- that are broadly rejected by center-right parties in the rest of the developed world. And thus we see, for example, the same pundit arguing in the early 1990s that President Bill Clinton’s tax increases would hurt the economy, then alternately crediting Ronald Reagan for the resulting strong economy and blaming Clinton when it stalled, demanding more tax cuts in the early 2000s, and spending 2007 and 2008 arguing that there was no housing bubble and claiming talk of a recession was fanciful. Because conservative pundits are punished only for apostasy, this series of inaccurate predictions did little damage to his stature. Yesterday, Trump named that pundit, Larry Kudlow, his top economic adviser. 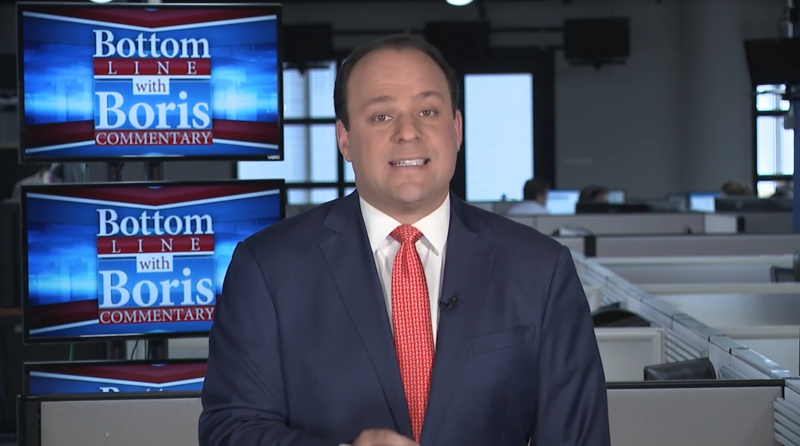 For nearly a year now, Sinclair Broadcast Group has been mandating that its local news stations air commentary segments from former Trump aide Boris Epshteyn. It’s essentially force-feeding local audiences Trump propaganda between community news and weather -- and the numbers show no one would watch it otherwise. Sinclair is a corporate giant that owns or operates around 190 local TV news stations across the country, and it’s been quietly forcing its stations to air nationally produced right-wing spin for years. But when it hired Epshteyn, fresh from a stint in the Trump administration, to serve as its “chief political analyst,” it was only a matter of time before everyone was paying attention. Numerous media and business reporters highlighted Sinclair’s twofold plan for growing local right-wing news: using the company’s still-pending acquisition of Tribune Media stations to further expand its reach across the country (with its potentially unethical relationship with the Trump administration and its appointees paving the way), and hiring Epshteyn as a new, Trump-aligned star for “must-run” national segments. After I spent the last 11 months in the Sinclair rabbit hole with these reporters, one thing has become awkwardly, painfully obvious to me: Sinclair is forcing its stations to run Epshteyn’s segments because no one cares otherwise. There is no organic audience actively seeking out his pro-Trump commentary. At the time it hired Epshteyn, Sinclair touted its new analyst as providing “unique perspective to the political conversation” that would “better inform and empower our viewers.” It also made the decision months later to up his airtime, though the company declined to say why. I watch each new “Bottom Line with Boris” must-run segment on his YouTube channel, usually shortly after it’s posted. On YouTube, I alone account for a not-insignificant portion of his total viewership, which is usually less than 50. On occasion, one of his segments makes the jump into thousands of views; those are usually the ones I or another media researcher or reporter decided to write about. Things are not going much better for Epshteyn on Facebook. He has hosted a handful of Facebook Live sessions, and on more than one occasion, for a moment or two, I’ve been the only person joining him for the ride. I’ve spent collective minutes intently watching, all by myself or with a handful of other random people, as Epshteyn explains his latest video or tries to end the video before someone off camera tells him to keep going. 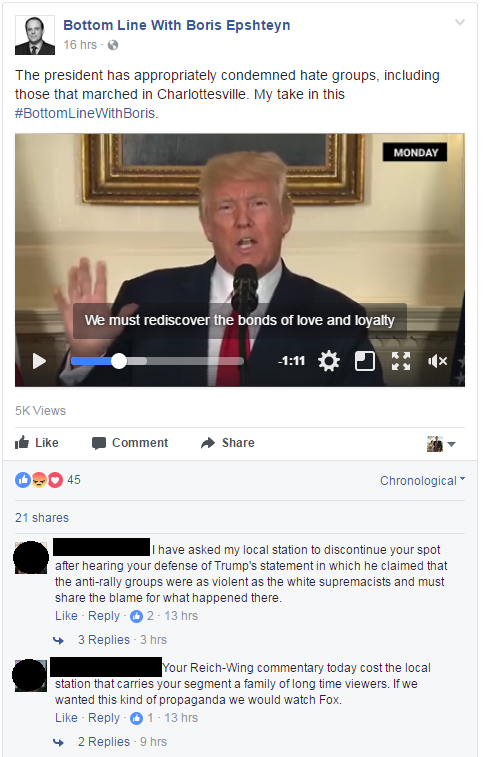 His typical Facebook posts aren’t getting much engagement either. While the videos of his segments sometimes garner a few thousand views each on Facebook, that number is likely higher than the YouTube view counts because of algorithm and platform differences like Facebook’s use of video auto-play in newsfeeds. The videos typically don’t receive high engagement beyond views (i.e., “likes” or comments) and his non-video posts often show similar minimal engagement. 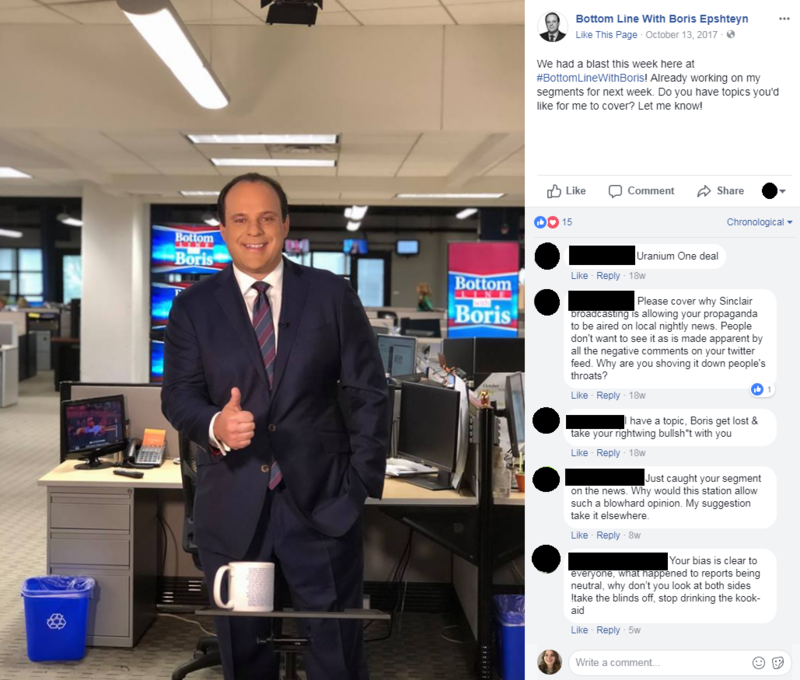 And often the comments his posts do manage to garner are from users explaining why they disagree with him -- or more crudely explaining exactly how they feel about Epshteyn or Sinclair. He doesn’t have fans engaging with him on other social media either. 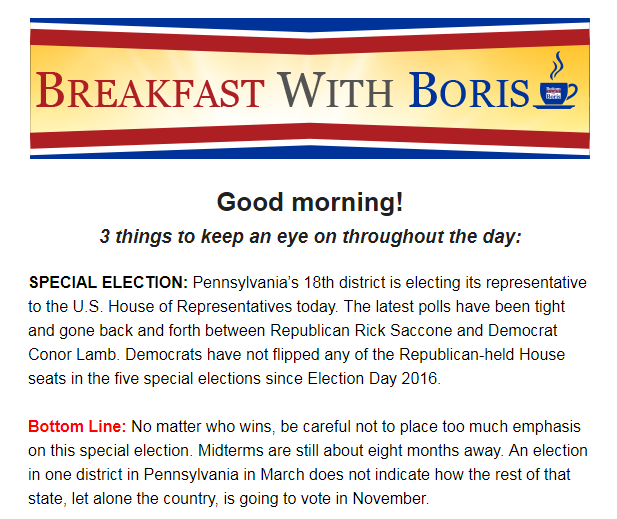 The official Bottom Line with Boris Instagram account has 91 followers as of this publication. He has about 30,000 Twitter followers, but most of his tweets seem to get extremely low engagement for a verified user with his own almost-daily news platform. He also sends out a morning email newsletter every day. I read it; I’m not convinced anyone else does. 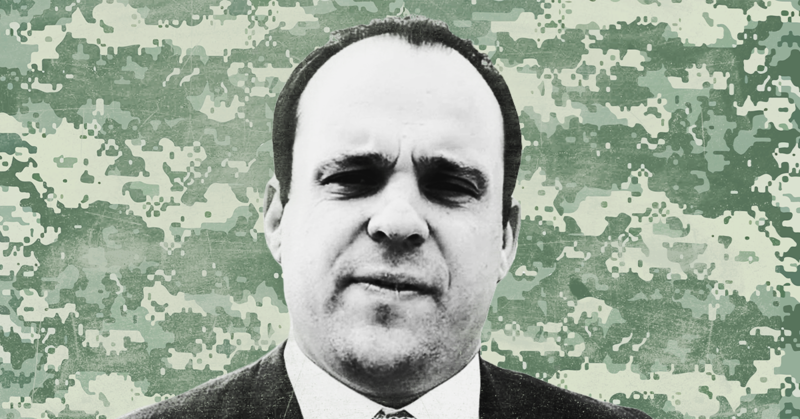 There are a couple theories about why Epshteyn’s political commentary just isn’t landing, and in reality it’s probably some combination of both: His delivery is monotonous and pretty uninspiring, and his opinions are predictable and add nothing original to public conversation. Epshteyn’s demeanor as he delivers his commentary to viewers was perhaps best described by HBO's John Oliver last July, when he described Epshteyn as “a rejected extra from The Sopranos in a J.C. Penney's tie whose voice sounds like Sylvester Stallone with a mouthful of bees.” Epshteyn somehow manages to be incredibly boring on screen even though behind the scenes he reportedly terrorized green rooms during his time as a Trump spokesperson. Beyond the question of charisma, Epshteyn doesn’t really make any compelling or interesting points. For a chief political analyst, his takes are notably unoriginal. At best, he regurgitates Trump talking points or touts some vague, imaginary bipartisan ideals that involve being nicer to Trump. At worst, he defends the most absurd, racist things Trump does. These are not exactly principled positions. 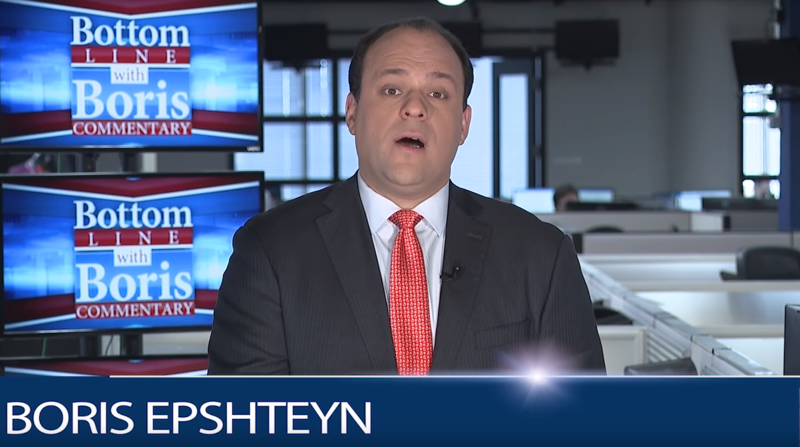 But the worst part about Epshteyn’s almost-daily segments isn’t his lack of charm or compelling analysis, or their propagandistic nature -- it’s that Sinclair viewers are subjected to his commentary regardless. Sinclair is forcibly creating an audience where none exists by requiring its news stations to air Epshteyn’s segments. 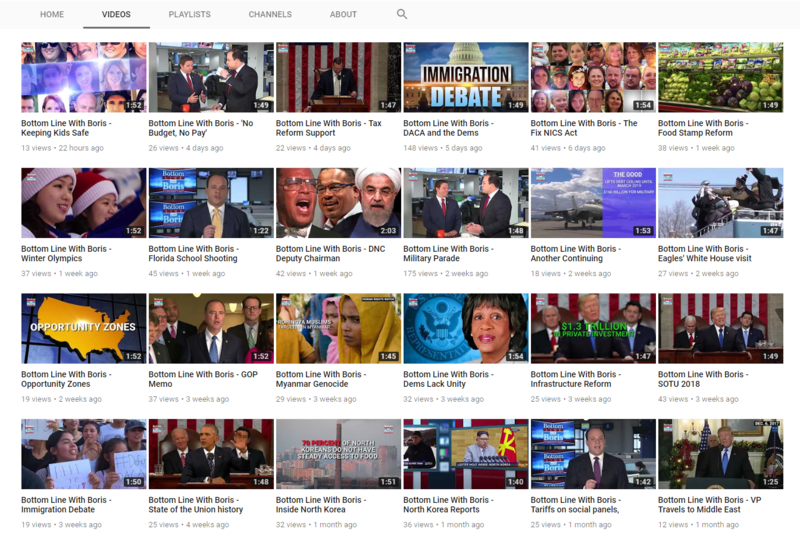 Even though only about 25 to 50 people seem to care about his commentary enough to seek it out on YouTube, it’s still reaching about 39 percent of U.S. TV households -- and could soon reach an unprecedented 72 percent. Propaganda doesn’t work because people genuinely love reading or watching it -- it works when it’s repeated enough to just become an acceptable part of everyday life. Like, for example, when an awkward stranger shouts at you after the local weather every night about what a great job his former boss, the president, is doing. 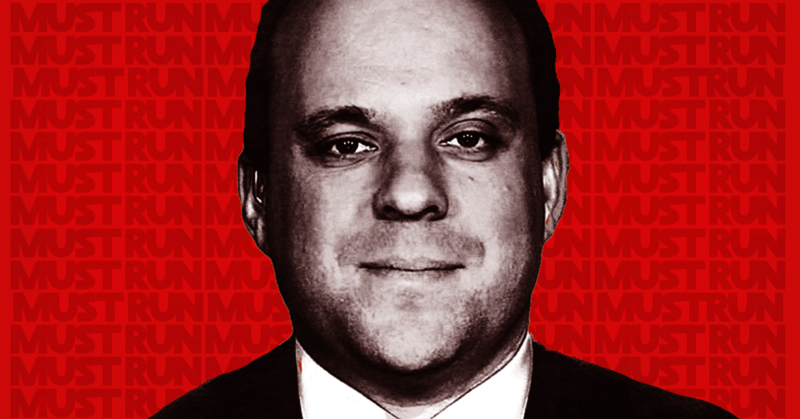 Boris Epshteyn, Sinclair Broadcast Group’s chief political analyst and a former Trump administration aide, would like you to know that everything is fine at the Trump White House -- and if you hear otherwise, blame the media. 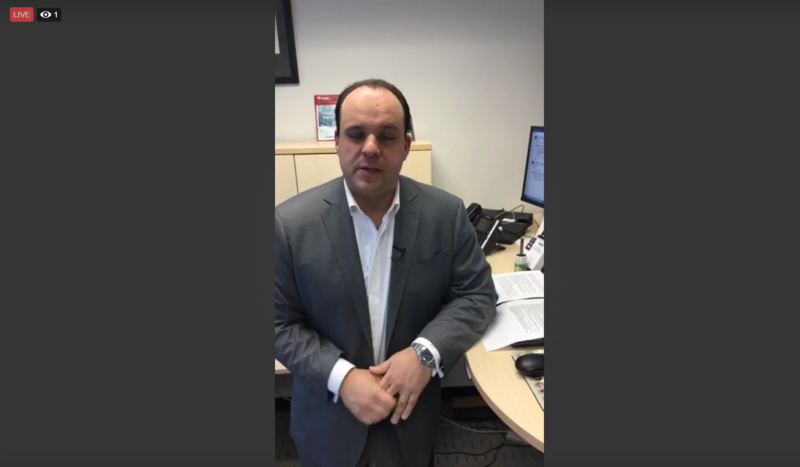 BORIS EPSHTEYN: Have there been a lot of staff changes in the Trump White House? Sure. A lot of that is because the president is not a lifelong politician. He did not have scores of people riding his political coattails like almost every other president in recent history. The White House is a tough place to work. I can tell you firsthand that it is a pressure cooker. Is everything always smooth and perfect in this White House? Of course not. But is it at your job? Here’s the bottom line: Just because someone in media says that there’s a meltdown in Washington, D.C., does not make that true. As you’re taking in news and political coverage, do not buy into the hysteria. The segment does not delve into exactly what’s caused such widespread reports of an administration in mayhem, nor mention any of the reasons there has been unprecedented staff turnover, such as pressure stemming from an ongoing federal investigation into collusion or reports of serial domestic abuse by a staffer. This embarrassing segment will now be forcibly aired, often spliced into local news coverage, on more than 100 Sinclair-owned or operated news stations throughout the country as part of the media giant’s infamous “must-run” lineup. Sinclair is known for its history of injecting right-wing spin into local newscasts, most notably with these “must-run” segments. The segments have included blatant (and sometimes embarrassing) pro-Trump propaganda missives from Epshteyn since last spring. 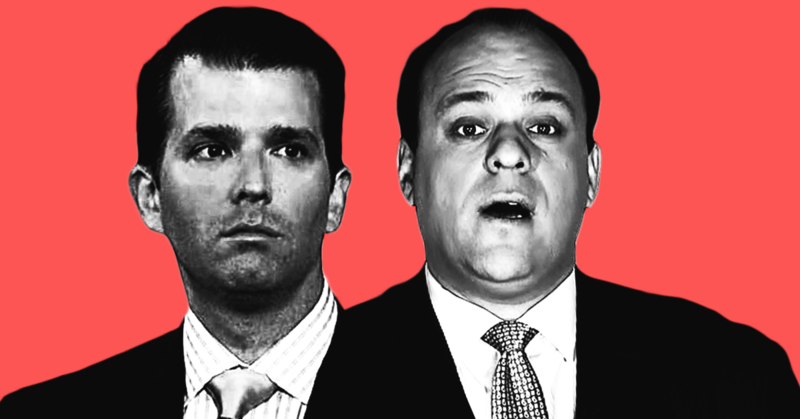 In the last six months, Epshteyn has used his “Bottom Line With Boris” segments to attack members of the press for being too mean to the president, praise seemingly every move Trump makes, and offer jaw-droppingly ill-timed defenses of Trump and his staff members. Most recently, he developed an entire segment arguing that Trump’s authoritarian dream of a “military parade” was a good idea. Thanks to the Trump Federal Communications Commission, pro-Trump propaganda like this could soon air on even more local TV news stations and in major cities across the country, reaching 72 percent of U.S. television households. The nefarious relationship between the Trump-era Federal Communications Commission (FCC), conservative local TV news giant Sinclair Broadcast Group, and the Trump administration itself is now under investigation. 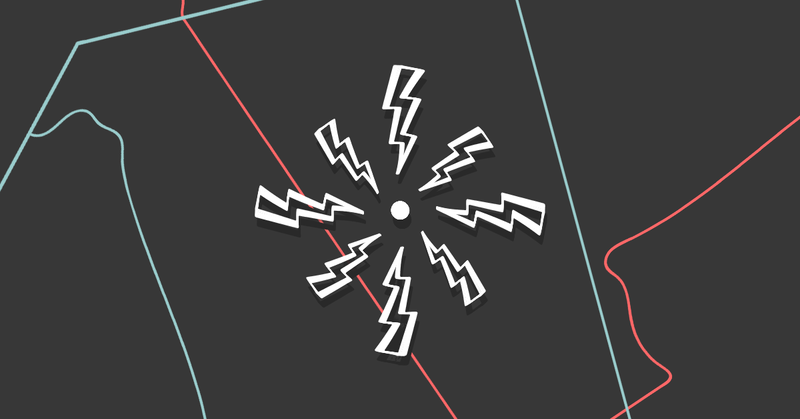 On February 15, The New York Times reported that the FCC inspector general has opened an internal investigation into potential improper conduct by Trump-appointed FCC chair Ajit Pai and his aides in advocating for deregulatory rules that specifically benefited Sinclair. A New York Times investigation published in August found that Mr. Pai and his staff members had met and corresponded with Sinclair executives several times. One meeting, with Sinclair’s executive chairman, took place days before Mr. Pai, who was appointed by President Trump, took over as F.C.C. chairman. Sinclair’s top lobbyist, a former F.C.C. official, also communicated frequently with former agency colleagues and pushed for the relaxation of media ownership rules. And language the lobbyist used about loosening rules has tracked closely to analysis and language used by Mr. Pai in speeches favoring such changes. In November, several Democrats in Congress, including Mr. Pallone, called on the inspector general’s office to explore all communications — including personal emails, social media accounts, text messages and phone calls — between Sinclair and Mr. Pai and his staff. The lawmakers also asked for communications between Mr. Pai’s office and the White House. They pointed to a report in March 2017 from The New York Post, in which Mr. Trump is said to have met with Sinclair’s executive chairman, David Smith, and discussed F.C.C. rules. In April, the FCC reinstated an outdated media ownership rule known as the UHF discount, making room for a new level of local media consolidation at the hands of big media groups like Sinclair. Weeks later, Sinclair announced it was proposing to acquire Tribune Media, a huge local news merger that wouldn’t have been allowed without the UHF discount in place. The FCC and Trump’s Department of Justice are now the only agencies that need to approve the deal. In October, the FCC voted to eliminate a rule that required local news stations to maintain offices within the communities they serve, making it easier for Sinclair to consolidate and centralize local news resources as it buys up more stations. In November, the FCC rolled back rules that limit broadcast station ownership, allowing for Sinclair to more easily own or operate multiple stations -- or merge stations -- in the same local media markets. Sinclair’s unprecedented gains under Pai’s purview are not just significant in terms of media consolidation; they’re ideologically dangerous. The company is known for requiring its local news stations across the country to air almost-daily segments that function as Trump propaganda. Its pending acquisition of Tribune would allow these segments to quietly spread further into major cities and battleground states ahead of the 2020 presidential race. 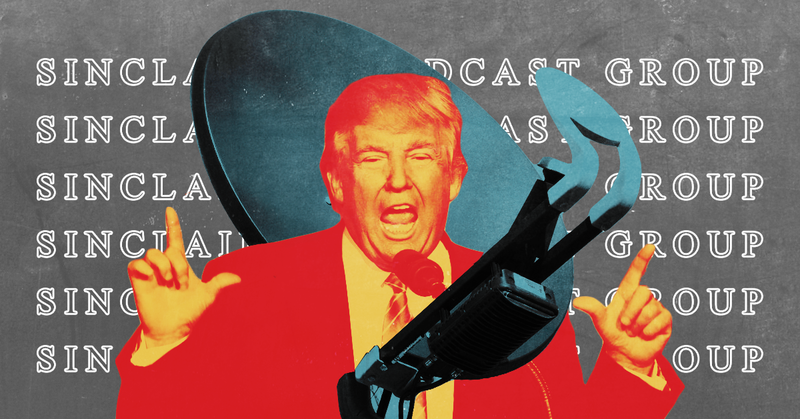 Sinclair Broadcast Group‘s secretive campaign to transform local news stations into Trump propaganda machines is becoming all the more difficult to ignore -- both behind the scenes and on air. What that vague sentence actually means is: Pai has spearheaded several FCC actions that all seem, incidentally, to benefit Sinclair more than anyone else. 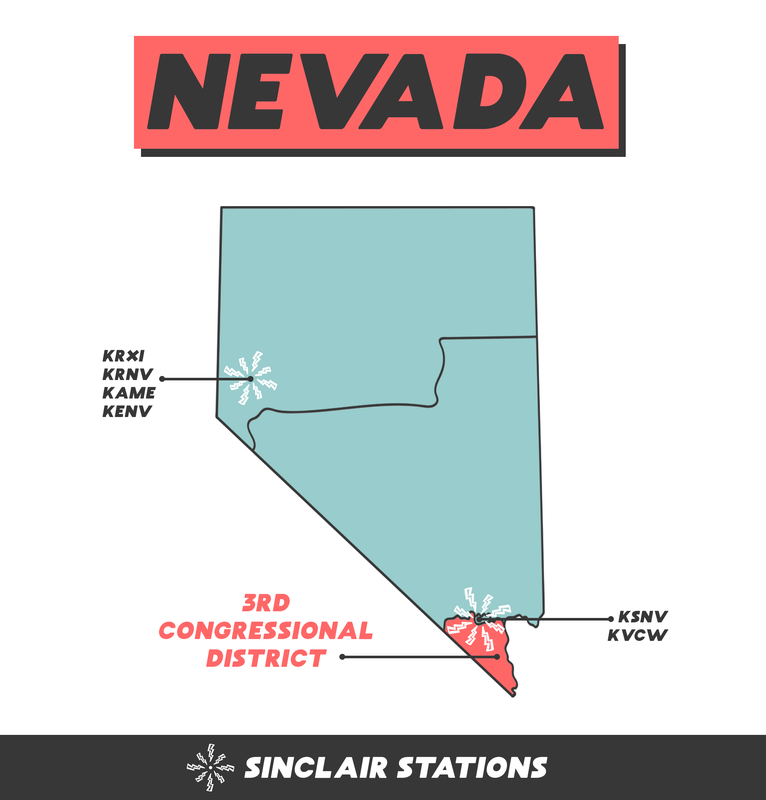 The rapid deregulation of the local broadcast industry under Pai’s leadership essentially permits Sinclair to have news control in an unprecedented number of local media markets across the country, in major cities and battleground states. It does nothing short of pave the way for Trump’s reelection. And if any lawmakers dare to challenge the FCC in its blatant regulatory overhaul, Sinclair PAC aims to be ready for an election fight -- ethics be damned. In addition to breaking with journalistic tradition, the company’s request could put its news directors in an untenable position, said Mark Feldstein, a professor of broadcast journalism at the University of Maryland. Despite Sinclair’s official reassurances, said Feldstein, a former local and network TV reporter, some news directors might feel that opting out would be perceived by their superiors as an act of disloyalty.